This school year Wolf Canyon Elementary transformed Room 703 into the "Timberwolf Design Den" through a collaboration with CVESD district leaders and the Qualcomm Corporation. At the start of the school year, Dr. McLaren decided to take the important first step of dedicating one classroom as a permanent location for a Makerspace on campus, and assigned Wesley Garcia, the school's Resource Teacher, to begin the research and launch the project. A partnership was soon forged with Mr. Michael Bruder who runs the Innovation Station at the Chula Vista Public Library, and this relationship led to an official sponsorship of the project by Qualcomm's Thinkabit Lab. Several Wolf Canyon teachers also joined the effort to bring the vision to life, with Mrs. Marlys Williamson leading the way. She played a major role in getting the room ready for the grand opening on January 18, 2018 which took place during Science Night so students and their parents would be able to participate in the exciting event. Mrs. Williamson also came up with the name "Timberwolf Design Den"--and it immediately felt right. Perhaps the most inspiring aspect of this journey has been the generous support we've gotten from others. The Design Den has received a wide range of monetary and equipment donations from various members of our Wolf Canyon community, and recently, the PTA voted to commit a yearly contribution to Design Den. Wesley Garcia authored Donorschoose.org projects for the first two phases of the Design Den, and these immediately garnered support from generous donors from within and beyond our local community. Then, as a blessing from above, both projects were fully funded by Mr. Craig Newmark, the founder of Craigslist, within a week of being posted! 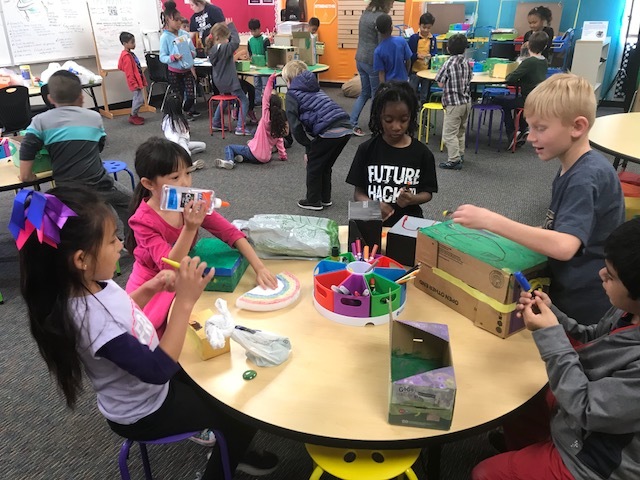 Teachers and students have now begun to venture into the Design Den and discover the joys of creativity and collaboration that the space is designed to foster. 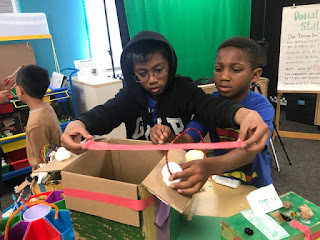 Recently, 1st graders constructed "Leprechaun Traps", 5th graders worked on inventions to help the homeless, and teachers engaged in collaborative "Easter Egg Challenges" inside the Design Den. The future looks bright for the Timberwolf Design Den. Teachers have begun to sign up for time slots to bring their students into the room to engage in NGSS and Engineering activities. Next school year, all grade levels will be given dedicated windows in the calendar to use the Design Den for hands-on elements of their curriculum. Both Mr. Garcia and Mrs. Williamson are available for ongoing support with planning and implementation. If you are interested to learn more about the Design Den, please feel free to contact Wesley Garcia at wesley.garcia@cvesd.org. Do You Know How AWESOME the Chula Vista Public Library Is? Museum passes for free admission are available for the whole family to check-out for 7-day spans! Food and drink are allowed in all branches! "Playaways" are self-contained audio books that you can check out! Digital thermometers are available for check-out! eBooks are available for check-out! The library sponsors the "1,000 Books Before Kindergarten" program. The goal of this program is to help every child close the "Word Gap"! The library sponsors a Kindergarten Boot Camp called "Kinder, Ready, Go!" The Chula Vista Library Card is a "REAL Card" that students can use for 2 books/items at a time until 6th grade! The library also has a Digital Access Card! Go to your local branch for more details! There are FREE LUNCHES at the Library for ages 1-18 during school breaks! The "Princess Project" program offers free prom dresses for check-out! ESL, Tax Prep, and computer classes are available for adults at the library! There is an online college program available at the library! "Zip Books" is an innovative new program available at the library! If you haven't seen the new mural at the "Innovation Station", you've got to check it out! One of our focus points for student learning and teacher professional development this year is The Art of Explanation. 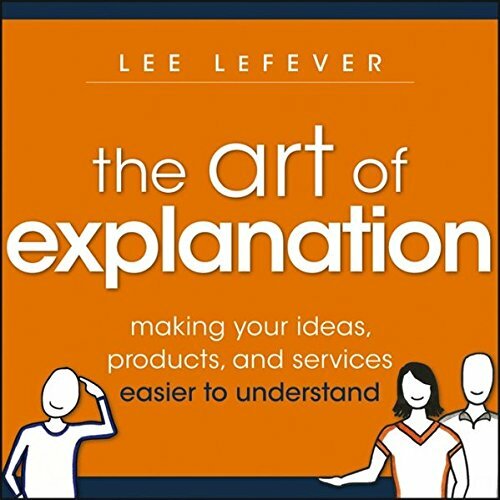 At the start of the 2017-2018 school year, teachers were introduced to Lee LeFever's work on how to craft effective explanations. The Wolf Canyon team decided that this focus point would be a great bridge between our work last year on mathematical explanations and our work this year on "Taking a Stance" across all the subject areas. Throughout the year, teachers will strive to intentionally develop students' ability to explain their thinking effectively. This involves the building of both content and context knowledge, empathy (to step into the shoes of the intended audience), and decision-making to take a stance (confidently identifying evidence that supports a claim or claims). Parents are encouraged to engage in deeper-level conversations with their children throughout the year, and explore a wide variety of academic topics and issues together. Then, as children start to construct their knowledge and perspectives about different subject matter, encourage them to verbally identify the evidence that supports the claims they begin to make. The gist is (1) thinking deeply and (2) explaining with evidence and empathy. "Explanations are not focused on facts, laws, or specifics. Explanation is the art of showing why the facts, laws, and specifics make sense." This quarter Wolf Canyon teachers developed checklists for their students to utilize when they engage in math writing tasks. First, teachers identified key steps that students can follow to successfully complete math problem-solving tasks that require writing, then they captured these steps in a checklist. The goal is for students to intentionally practice the steps in their checklist until they are internalized. This year the Chula Vista Elementary School District is engaging in a process to adopt curricular materials for English Language Arts (ELA). The two publishers being piloted are Benchmark Education "Advance" and McGraw-Hill "Wonders". The program that wins selection through the adoption process will be launched in CVESD classrooms during the 2017-18 school year. Currently, materials from each program are on display in the library for parents to view. More information will be sent to the community about the adoption process, and teachers and parents will have an opportunity to submit a vote for the program they prefer. Click on the links below to learn more about the two ELA programs. Thank you for your participation in this important process. Attend the Upcoming Achieve 3000 Parent Workshop! Please RSVP by emailing Dr. Prange: beverly.prange@cvesd.org, or sign up in the office. Hattie studied six areas that contribute to learning: the student, the home, the school, thecurricula, the teacher, and teaching and learning approaches. But Hattie did not only provide a list of the relative effects of different influences on student achievement. He also tells the story underlying the data. He found that the key to making a difference was making teaching and learning visible. He further explained this story in his book Visible Learning for Teachers. 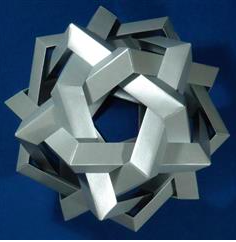 To see a chart comparing various school-based influences on student achievement, please click on the link titled "John Hattie's Work on Student Achievement Effect Sizes" in the Resource Links section of this blog. Enter your email below to follow my blog!